How do we fix Washington? Thanks to the ugly battle over healthcare reform, media pundits have been asking this question a lot lately (see here and here). 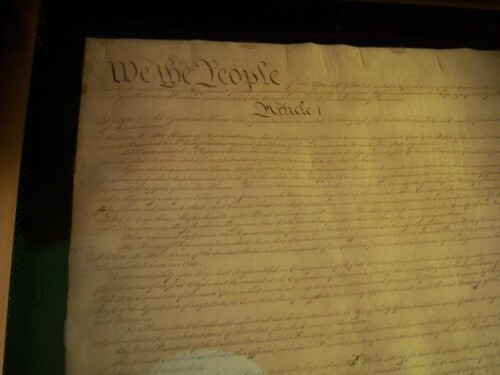 In a recent Daily Beast op-ed, Republican political strategist Mark McKinnon and liberal law professor Lawrence Lessig suggested amending the Constitution. While their idea is intellectually interesting, the hyper-polarization of our political culture—right down to the state legislatures that are essential to the amendment process—makes it a practical nonstarter. America’s political culture must become less polarized before any meaningful reform of Washington can take place. The most practical way to do this might be by ending a different political status quo: gerrymandering. McKinnon and Lessig suggest that the problem with Washington is money from special interests and the solution is to amend the Constitution. They acknowledge that getting Congress to propose amending the Constitution is politically infeasible. So instead, they suggest bypassing Congress by igniting an effort to employ an alternative method of amending the Constitution. Under Article V of the Constitution, if two-thirds of state legislatures (34 out of 50) vote to demand a Constitutional Convention, Congress must call one. The Convention would propose amendments to the Constitution which would then be sent back to the state legislatures of all 50 states. And if 38 of 50 state legislatures ratified the amendments, they would become the law of the land.